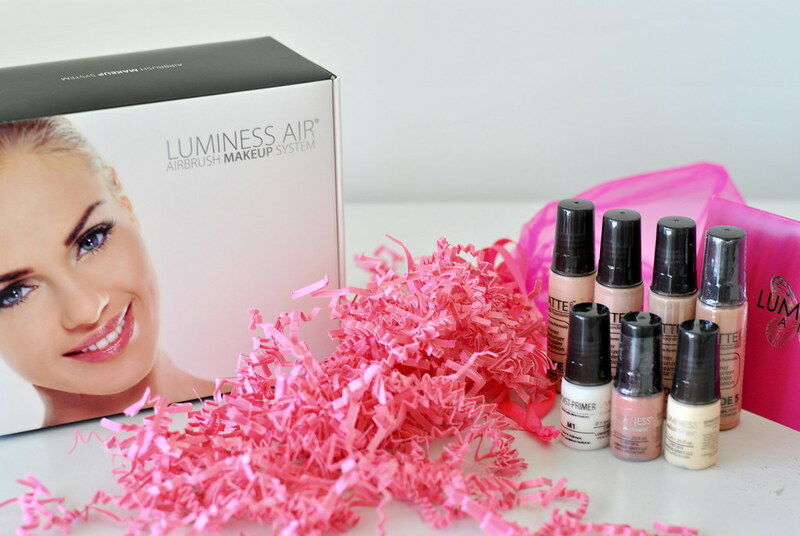 The deets: Luminess Air at home airbrushing system. So let me explain the slightly bizarre glamour shots below. 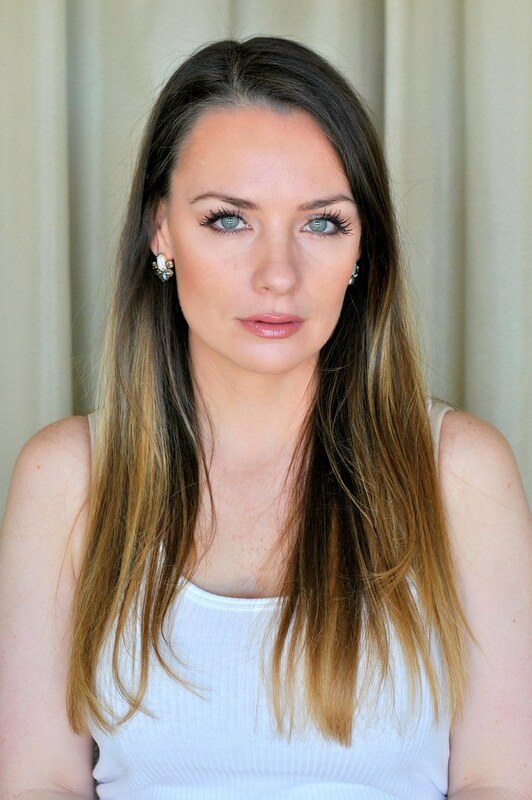 No, I am not having head shots done for some newly discovered desire to go into show business, I tried out an at home makeup airbrushing system, Luminess Air! Full disclosure, I was sent the product c/o and asked to review it honestly. I actually kept putting off trying it out because I didn't have a ton of faith that I would be able to execute as the word "airbrush" alone is intimidating and makes me think, "expert," which I am definitely not! Last Sunday seemed to be a perfect time to try it out, I didn't have plans to go anywhere so if it ended badly, no harm done. I was SO very wrong. It was surprisingly simple and easy! You literally just follow the steps in the manual or there is even a free app that helps you here. I just dropped in about eight drops of primer first and began lightly spraying it all over to get a feel for it before using any actual color. After that I basically already had a handle on the tool and used the matte formula in color "2" all over my face to even out skin tone. I then used "4" as a bronzer (although I'm sure some folks would just be "4" all over their face, depends on your tone). I finished up by adding some of the illuminator to my cheekbones. The whole process took about FIVE MINUTES! Seriously. And I don't think I have ever had a more pleasant foundation experience in my life. No working the brushes into the product and then skin, just spritz over your face, no work required, your delicate face skin is unbothered. I feel like the photos don't even do it justice, the end result was so flawless I kept staring at myself in the mirror in disbelief. I used no other face makeup at all, just eyes and lips to finish off the look. I wish I ended up wishing I did have somewhere to be! 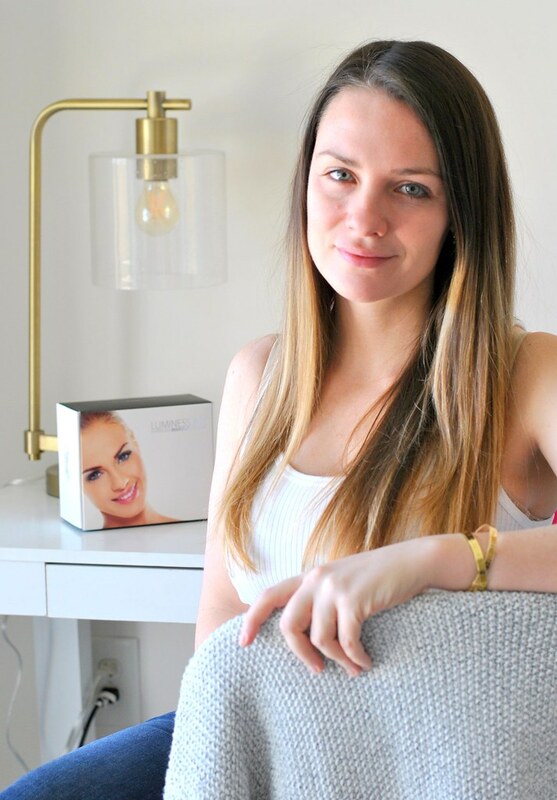 If YOU would like to give this magic a try for yourself, Luminess Air was kind enough to send me a coupon code for 20% off, just use 595732926 at checkout.